When most people see the words ‘yoga’ and ‘music’ in the same sentence they might think of wind chimes, crystal bowls, synth pads, and dolphin sounds. But for the last thirteen years New Orleans-based Sean Johnson And The Wild Lotus Band (Alvin Young and Gwendolyn Colman) have been changing this perception– reinventing the yoga soundtrack and putting a New Orleans and American stamp on kirtan by merging ancient mantras, rock, funk, gospel and world grooves. Brought together in September 2005 initially as a creative, philanthropic touring music project in response to the destruction of Hurricane Katrina, they have become one of the guiding voices of kirtan music in America- a genre of spiritual music that originates in the yoga traditions of India, and is being reinvented by a growing number of western artists. Their dynamic music has opened peoples’ ears and hearts within and beyond the yoga world. In 2007 they released their first album Calling The Spirits independently which caught the ears of pioneering Canadian record executive Terry McBride, founder of Nettwerk Records and Lilith Fair. In 2009 McBride signed the band to Nettwerk for the release of the follow up album Devaloka engineered and co-produced by Misha Kachkachishvili (Esplanade Studios) in New Orleans. When Putumayo World Music founder Dan Storper heard Devaloka he chose music off the record to be featured in a series of Putumayo releases which include tracks from international artists designed to accompany yoga practice (Yoga, 2010, World Yoga, 2012, and Yoga Lounge, 2014). Storper also hired Sean to co-curate the albums and write the liner notes. These albums have helped propel the band’s music to listeners across the globe. Their songs have also appeared on the Sounds True and White Swan labels. In August 2014 they released their third studio album Unity. White Swan Music describes the album as “A collection of ten unique. soul-stirring songs that reveal the band more at ease than ever with interpreting and expressing mantra music through the guts and authenticity of their own American roots. The album takes the listener on a revelatory journey through myriad sounds and flavors – from bellydance rhythms, Motown-inspired grooves, back porch stomp and gospel chorus to trance-inducing eastern strings with passionate verses from Rumi, tantra yoga sutras, and chants from a variety of spiritual traditions. 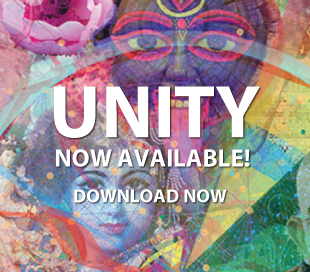 Some songs are perfect for a yoga flow playlist and other for simply savoring life, at full blast.” Unity received much critical praise and debuted #1 on the iTunes World Music Chart and #3 on Billboard’s New Age Chart. 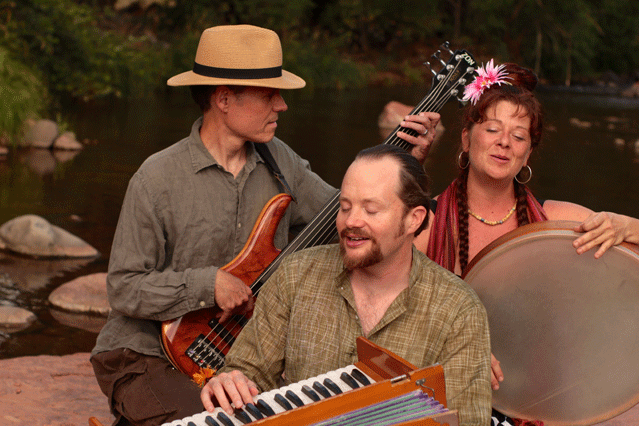 Sean, Alvin, and Gwendolyn tour extensively as a trio and are a favorite headliner at yoga and music festivals nationwide. In 2010 they were the first kirtan band to ever play The New Orleans Jazz Festival to a large and appreciative crowd. Their debut at Jazz Fest was noted by Offbeat Magazine at the time, and chronicled in the international online magazine Elephant Journal. They were invited back to the Jazz Fest stage in 2014, where GoNOLA.com named them “Top Pick For Day 2 Of Jazz Fest” along with Phish and Robert Plant. In 2015, they made their third trip to the Jazz Fest stage to share the joy and power of their New Orleans-crafted mantra music and their set was featured in the Huffington Post, Bhakti Beat, and My Spilt Milk. 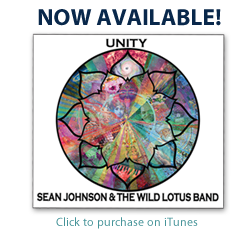 New Orleans native Sean Johnson is the founder of the band and loves to inspire people through a creative integration of imaginative music, yoga, storytelling, and poetry. His passion for music ranges from a deep appreciation for the transcendental power of rock, Irish folk music, Indian and Sufi devotional music. He’s been leading kirtan for the last twenty years. 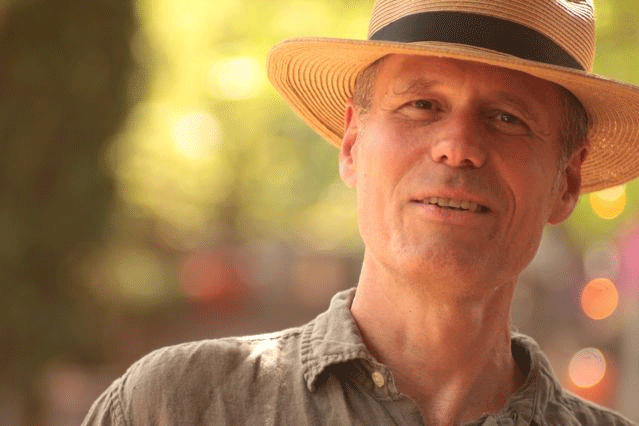 His voice is equally influenced by his roots in New Orleans, vocal exploration of his ancestral Irish heritage, as well as study in Indian vocal music and love of the path of bhakti yoga– the yoga of the heart. Sean is also the founder of Wild Lotus Yoga studios in New Orleans, and Soul School, an interdisciplinary yoga and spirituality teacher training program that focuses on teaching yoga with skill and imagination. 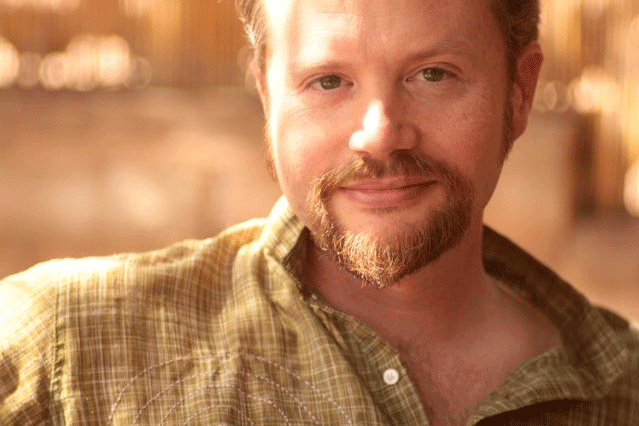 He has a Master’s degree from The Naropa Institute with a focus on teaching chant as spiritual practice, has written articles for Yoga Journal, and is the co-curator and co-producer of Putumayo’s music for yoga series. His signature “Bhakti On The Mat” yoga workshops, often accompanied by the band, playfully weaves yoga, live music, chanting, storytelling, poetry, and ritual. New Orleans native Alvin brings a rich musicality and depth to the band weaving the rock, jazz, classical, and folk styles he’s been immersed in for the last 40 years. He spent years on the Crescent City music scene playing with Wynton and Branford Marsalis, local legends James Booker, James Black and many more. The hallmark of Alvin’s expression on the bass is a rare and deeply melodic quality that illuminates the trio’s sound. Music has been a pivotal part of Alvin’s spiritual journey. Alvin has also been invited by many kirtan artists to play bass and guitar including Girish, Shantala, David Newman, Luna Ray, Prema Hara, and Gina Sala. Gwendolyn brings to the band boisterous personality, rhythm, and passionate vocals honed from years of playing with middle eastern, flamenco, and avant garde bands. Her percussion dashboard includes frame drums, cajon, high hat, kick drum, doumbek, and karbobs- playing with merging ancient rhythms with a modern, urban flare. Gwendolyn can move seamlessly from a traditional middle eastern trance rhythm, to subtle jazz brushwork, to a New Orleans hip hop street groove. Her powerful vocals are influenced by early opera training. 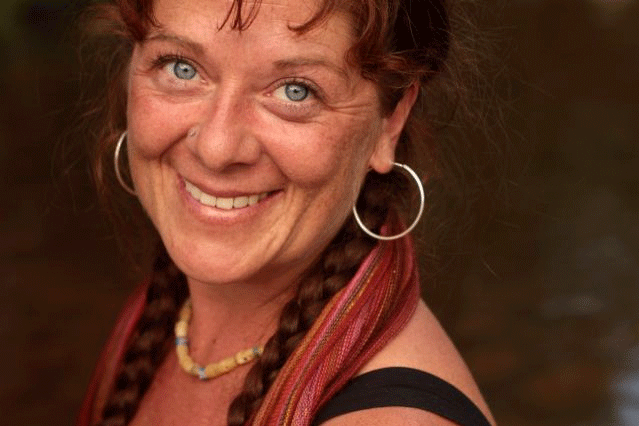 Gwendolyn’s spiritual quest has led her from Rastafarian to Baha’i to yoga – with the heartbeat of her drum always at the center.